The panels were definitely one of my favourite things during this convention. Oh, there were so much panels! We almost lived in that panelroom. That was big plus for me. All the actors did panels, most of them more than one. Alone, or in a duo or a Flash panel. There were so many panels to attend! And I feel like I got to know the actors better because of it. Usually you just see 1 panel of an actor. And it takes about 30-45 minutes. And that's it. Then there are mostly questions about the series/ movies they play in. This was different: There was singing, dancing, anything! It was just so much fun. And all of the actors answered a lot of personal questions as well. It felt really close and very open. Oh yes the panels...they were great. I also liked the setup of the room the panels were in. It was like a movie theatre, so the chaors were nice and comfortable and the view was magnificent. In other Q&A rooms you all sot on the same level, so if tge person in front of you moves his head, you have to move also. This can lead to some very uncomfortable positions. But all of this wasn't an issue at ArcCon, you could just sit back and relax and enjoy the show. And a show it was...like Carola said there was dancing and singing, but there was also time for serious issues. The autographs were organised different from what I'm used to. Usually I see the actors signing all day long. And then you can decide when you want to go for an autograph. Which usually means I'm walking up and down there all the weekend, waiting for enough courage to go. And depending on me to say: Let's go now! Haha. But with KLZ it works differently. Dependending on your pass, you could go for autographes at a preset timeslot. You would basically sit in the panelroom and see on the screen when it's time to go. At one time we panicked a bit, because we both noticed we hadn't been paying attention for a while. On the first day (saturday) we knew we woudn't be called for autographs because we had a bow pass. 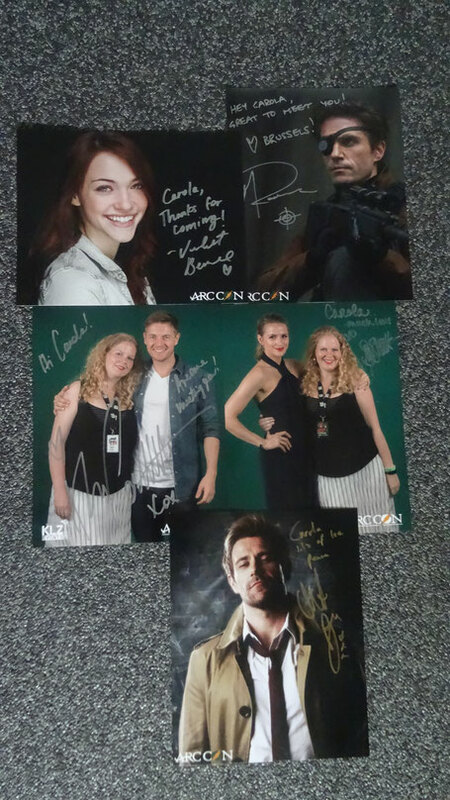 Except for Matt's autograph, because he only attended on saturday(I also had a Matt photo op). This confused us a bit. We were looking around a lot to not miss our chance to meet Matt. We weren't sure what to do. And I'm sure we looked like two complete doofuses (or is it doofi?). Luckily we weren't the only ones that didn't know what to do and we formed a bot of a posse. Ofcourse everyone told us that autographs for bow passes were on sunday. But since Matt was only one day at the convention, we had to go! Eventually everything fell into place and we were very happy with our loot. The second day went smoothly. It was clear on the screen when we needed to go. At first, it was a general queue (Just for any autograph). Once inside the autograph room, you could queue per actor. It was a quite small room. With just the purpose to get in line for the actors you wanted an autograph from. You'd get all the autographs and then leave again. This worked pretty well (Though we had to wait a while for the queue to actually start moving). We got in line for everyone and that went pretty quickly. I talked to each one of them (Yes, I can't blieve I did either!). And we will write seperately about meeting them. It was nice to get all the autographs at the same timeslot. You put your mind to it and it's clear you're going for autographs. Though usually I also like the feeling of deciding when to go. It makes my heart go up and all weekend, just for the thought of going for an autograph. I think both ways have their pros and cons. I missed the constant adrenaline rushes I get when we walk past the actor's signing alley. But an advantage of this way of working is that the actors have got more time for panels and stuff. I have to say that my saturday was now pretty relaxed because I knew I wasn't going to 'do anything'. On saturday I had the Matt Ryan autograph and photo op, so I had two peaks in my adrenaline levels. The only thing that was a bit strange to me, was that you had to buy the picture you wanted to get signed (5 euros). I'm not used to that. Usually actors bring some pictures themselves and you can just pick one at the table. Yes that was very strange, I mean the price of an autograph is high enough and charging for the pictures is a bit too much. The photo ops were organised well. You'd see on the screen which pass needed to go for a photo op on what time. That was easy to follow. I got a photo op with Shantel and Rick. It surprised me how many people already thought of a pose they wanted to do on the photo. This made me feel a bit insecure and unprepared :). I think it's great that they all already had a pose for the photo. I hadn't thought about it at all and I was nervous about it. But it all went well. For the next time I'd think of a pose as well. We didn't queue for that long. But the photo op wasn't rushed either. I talked a bit to them during/ after the photo, so that was very nice. Picking up the photo took quite a while. On saturday we had to wait a long time for Liv's picture with Matt. We waited untill 20.00, but then left. (We hadn't eaten all day, so we really needed to go to a restaurant). We picked up the photo the second day. On sunday things were better. We could pick up our photo's before getting the autographs. That was great, because now I asked them to sign the picture from the photo op! We only tried out the food the second day. The first day we made a mistake in calculation (of time) during the break. And because of that, we lost the time to eat! And a lot of sweat and breath to get back to "The Egg" to attend the Full Meeting Room. On the second day we made that up. Liv ate a cheeseburger and I had some cheese croquets. We shared fries. The food was great. There was just one food stand at the convention, but that wasn't a problem for us. The waiting time wasn't too long and the food tasted great. Prices were fair as well. Before the convention we e-mailed and tweeted a lot with KLZ events. I have to say: the are FAST! I always an answer within a few hours (if not even faster). That was very nice, it gives some clarity quickly. I really liked that. They were all active on twitter, facebook and e-mail. Also the other visitors of the conention were always willing to help. It felt very nice (Especially during the though times ith cancellations) to get answers quickly. At the convention communication was good as well. I was confused one time: For Matt's autograph. The rest was quite clear. Though I have to say, if it's your first time for a convention like thisit seems a bit confusing on forehand. (To get how the timeslots are working, what the registration means etc). But luckily the girls from KLZ are always willing to help. It was an amazing weekend for me! 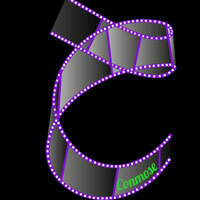 I really loved it and I had great time. I feel like it was worth my money. We really got to know the actors. We learned a lot about them. I loved to see them all and speak with them. It was also great to meet the other visitors of Arccon. They were all very nice. We met some great people and had lovely conversations. Everyone was talking to each other way more than at other conventions I've attended and I really like that. It makes the con feel like a great place to be, where you can see the actors but also talk to people with the same passion for this series. 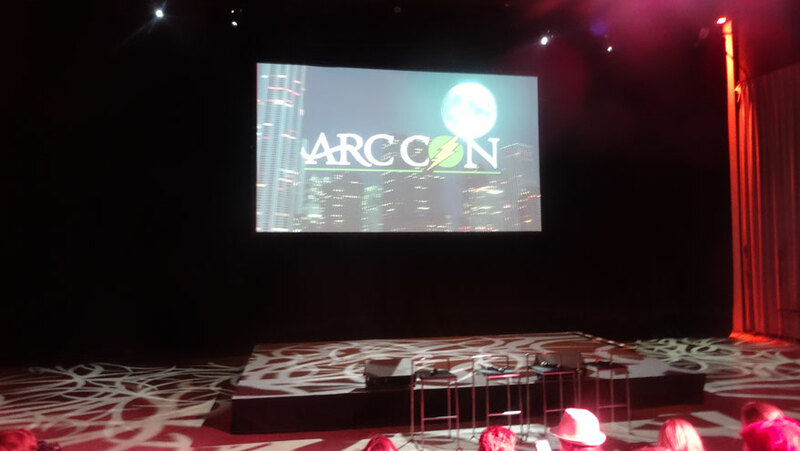 We had a lot of fun at Arccon. I had to get used to some of the aspects. Mainly to being less 'free' in doing things whenever you want. But there were so much advantages. I truly loved the panels. And I liked it that the convention was quite small. So we had a great time and would definitely attend a con organised by KLZ events again. I really couldn't agree more. 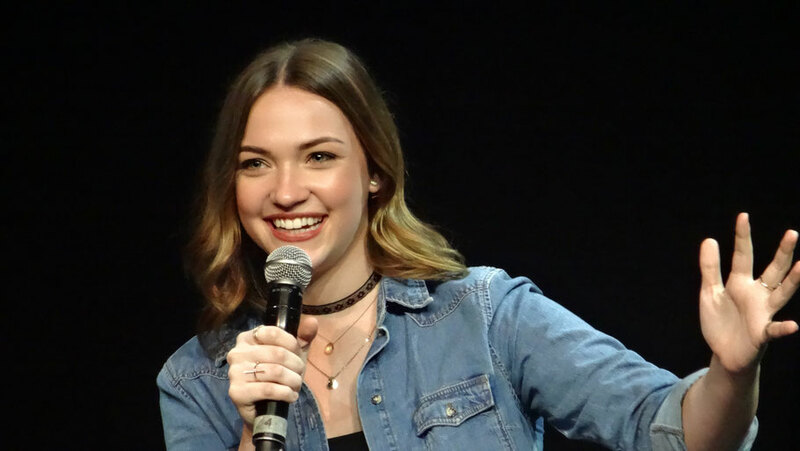 I loved the setup of this convention and I think it worked that well, because it is a small convention with guests limited to one or two tv shows. It is a very specific audience and the guests are limited. I liked it a lot. The only thing I missed were a few more merchandise stands, although I think the lack of that is better for my bank account ;). Thank you KLZ for an amazing weekend! What an exciting experience to be a fan and to see the actors/actresses live. It's even better because you were able to have a little chat with them, and then the photo ops. :) I could only imagine how thrilled you were. I am glad for you and may you have more opportunities in the future! That is so lucky of you! I have always dreamed of meeting my idols or simply having a photo taken with them but I have no luck so far. You are so lucky for being able to take photos with them, and have a little chat! If i'd have that opportunity, I wouldn't know how to react. Haha! Wow, I can only imagine the excitement. I’m happy for you, got to meet someone you like so much. It must have been an awesome experience!! Sounds like you had a great time! I have never been to a con. I've actually never even gotten a celebrity's autograph. But I'm sure it would be exciting to connect with an artist who means a lot to you. It looks like it was a great event, very well organised. I have never attended any events of this kind and I don't know how it works with the autographs or photo opportunities. 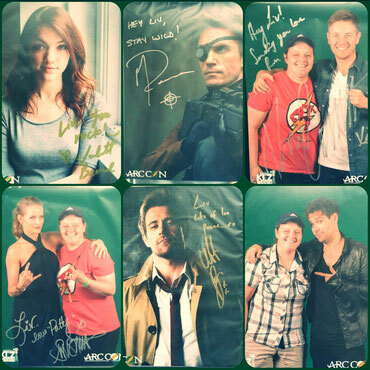 It's great the the organisers have thought of everything and that you've met your favorite actors without any hassle. You're so lucky to mee your idols! To be honest, I never had a chance to attend a meet and greet in my entire life. I wonder how does it feel to see them up close and live! That's soooo exciting :) Happy for you! This sounds like a great experience, great entertainment and thought provoking issues and you get to be photographed with celebrities. Quite an event. 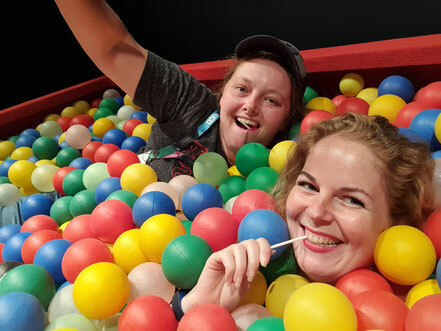 What a wonderful event to connect with fans! Matt Ryan is indeed awesome, I really admire his acting. I envy you for being able to see them!